Get the latest facts, tips, and ideas for marketing your medical or dental practice. When it comes to marketing your practice, there’s a lot you can learn from what you’ve done in the past – and even MORE you can do to prepare and plan for the year ahead. With all the anticipated trends and changes coming in 2019, now is the perfect time to reflect on what has worked well while strategically aligning yourself for greater success in the new year. Watch this webinar to learn 12 ways to jumpstart your marketing in 2019 and establish a strategic plan that will help you accelerate growth and win new patients. Climbing to the top of search engine results pages is no small feat, but you can implement various strategies on and off your website to help improve your rankings to be found by new patients. As we near the end of 2018, now is the perfect time to end the year on a high note while preparing for even greater success in 2019. Watch this webinar to learn how to combine SEO and PPC strategies to take your dental marketing to the next level while getting in front of new patients online. 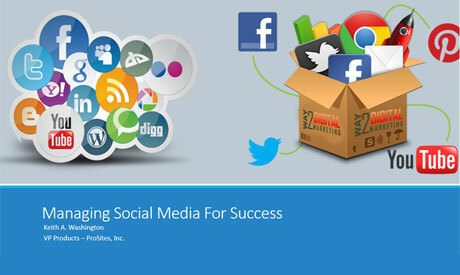 By now, we all know how valuable - even essential - social media can be to marketing your practice. 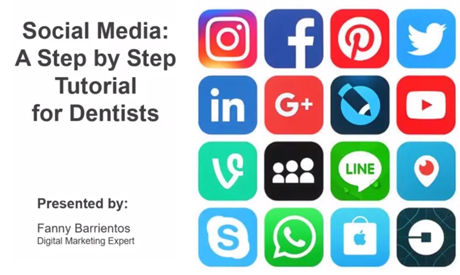 However, many dentists don't know where to begin when it comes to establishing a strong presence on social networks for their practice. It can be a bit scary and complex. Most dental practices still email patients a downloadable PDF that they must print, fill out, and remember to bring to the office – or have them show up early to fill out forms in advance of their appointment which often leads to treatment start times being pushed back and delays across the day’s schedule. 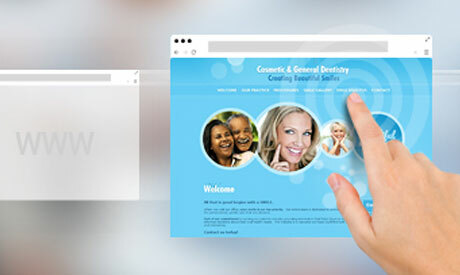 Many dentists want to create a compelling web presence, both to attract prospective patients and to maintain relationships with their existing base. Though many practices recognize the value of well-designed websites with compelling content, the task of identifying and implementing the best practices for bringing in new patients can be overwhelming. Get better rankings online: Here's how to choose the perfect SEO provider. Optimizing your website for search engines is critical to being found by new patients online. Deciding who to trust as your SEO (Search Engine Optimization) provider can be tricky, and making the wrong decision could cost you time and money. There are plenty of shady SEO companies that will not only not deliver improvements, they may actually hurt your rankings. 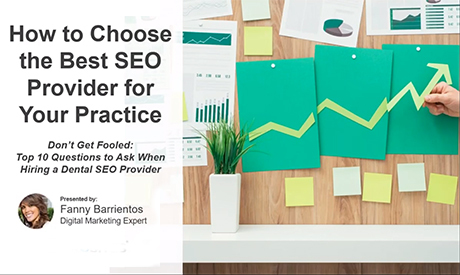 Watch our on demand webinar to learn the top questions to ask when searching and comparing SEO companies. Plus, get insider tips about what you should look for in the company’s answers to these questions so you can make the right choice for your practice. Time flies! In the last year we have made a significant number of updates to our ProSites products and services – ranging from small updates to big improvements – and we want to tell you all about it! 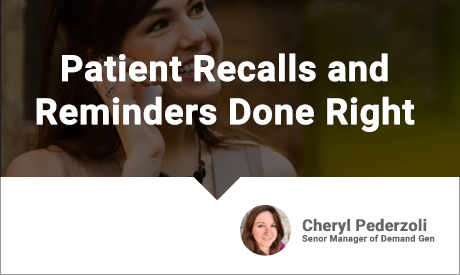 Automated recall and reminder systems are not created equal. If yours isn’t communicating with patients via their preferred channel – or if the timing isn’t right – your reminders might be getting ignored and not helping you keep appointment books as full as they could be. Whether you currently use an automated system or are taking a more manual approach, learn what an efficient solution can do for your practice – and how to select the right vendor so you can get the perfect solution that skyrockets practice revenue and gets patients in your office. 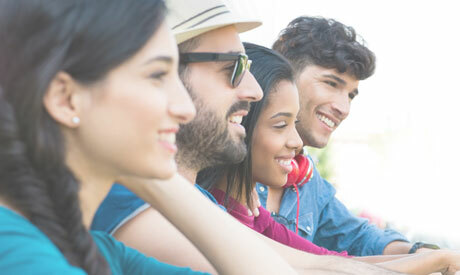 Even though the average adult spends nearly two hours on social media per day – some dentists are hesitant to embrace this emerging marketing method. Does this sound like you? Maybe it’s because you simply don’t have the time necessary to invest in a social media campaign, or don’t understand what it can do for your practice. Whatever the reason, it’s a mistake that could be costing your practice big. It was only 10 years ago that the iPhone was the only "smartphone" on the market, and few could afford them. Fast forward to today where we have virtual reality, driverless cars, and incredible convenience all with a few taps on our smartphone screen. Technology is changing the world faster than we realize, and all businesses will need to evolve with the times to remain successful – dental practices included. 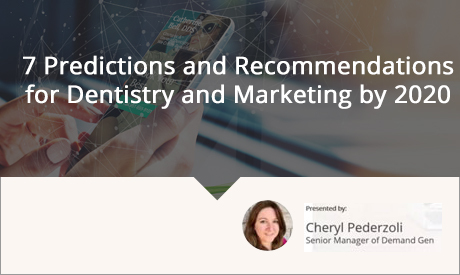 To prepare your dental practice for the future, we've examined current market trends, developments and influencer conversations to project out to the next decade and predict what will happen in the world of marketing and dentistry. Update: Following the recording of this webinar, Facebook announced on January 11 that it was changing its algorithm to prioritize posts that spark conversation and meaningful interaction between people, which may have an impact on the fourth trend predicted within the webinar. As the algorithm change rolls out over the next few months, ProSites will monitor the impact and issue an update if necessary. No matter the industry, online security has become top priority for all businesses – dental practices included. 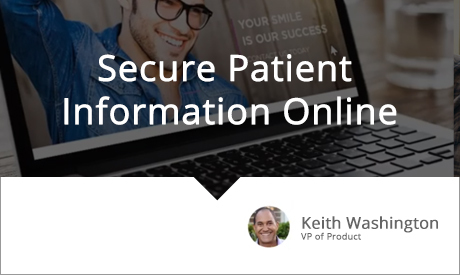 One of the most important aspects of running a dental practice is keeping patient information secure via online forms, secure websites, and encrypted emails. Today, 72% of people trust online reviews just as much as a personal recommendation. 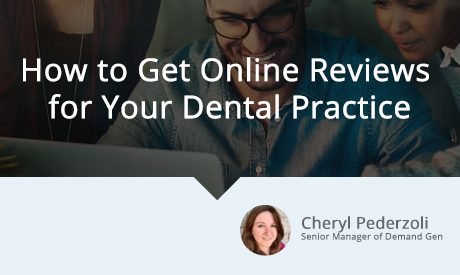 And with more and more people researching dental practices upfront, it's critical to have online reviews to show potential patients what it's like to work with your practice. Many dentists however, are afraid to put themselves out there in fear of the inevitable "bad review." 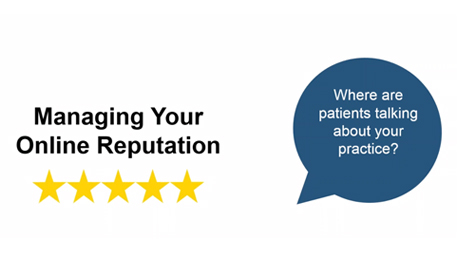 Contrary to popular belief, if you respond in a professional manner and have enough positive reviews to outweigh the bad, the negative comments will have little to zero effect on your practice. 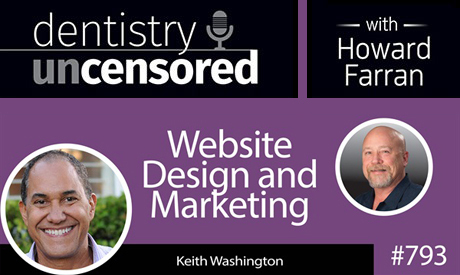 Podcast with Dentaltown CEO, Howard Farran, and ProSites VP of Products, Keith Washington. 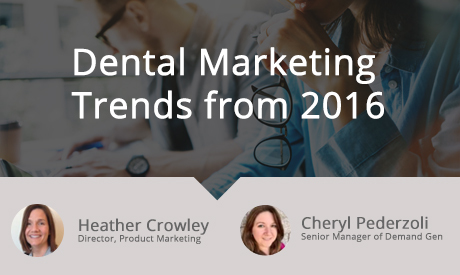 Curious to learn about the latest dental marketing trends and how they are impacting practices like yours nationwide? 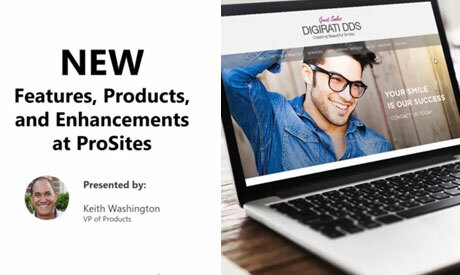 Join 2-year Dentaltown Townie Choice Award winner, ProSites in this podcast with Howard Farran to learn what we foresee to be the biggest shifts in dental marketing in the next 6 months. Consistent, thoughtful, and well-timed communications are key to filling your appointment book and increasing your practice's profitability. 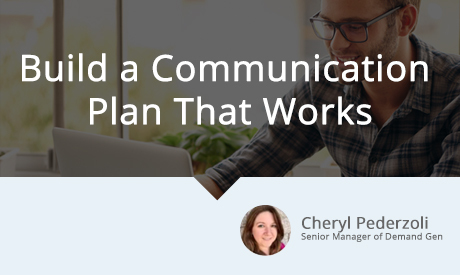 While crafting a solid communication plan may seem time consuming and challenging, there are ways that you can create a plan that's impactful and easy-to-execute. Watch this webinar to learn the dos and don'ts of creating an effective patient communication plan that will win loyal patients. Whoever said there's no such thing as a free lunch obviously wasn't familiar with ProSites' FutureNow Assurance™ guarantee. This guarantee provides ProSites members with full access to all new updates and features free of charge. 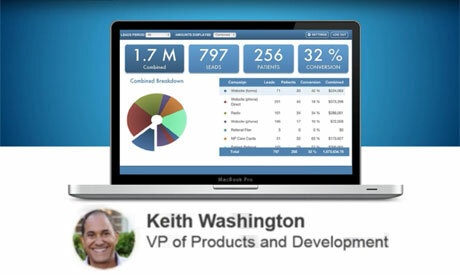 Watch our webinar with Keith Washington, VP of Products on Thursday, for an in-depth look at a number of recently released ProSites features. Whether you already have a website, or are thinking about creating a new one, there are several things you should consider and do to make the most out of this important marketing tool. In the online world, a website establishes and represents your practice. Just like your brick-and-mortar office, a website needs to be efficient, clean and current. 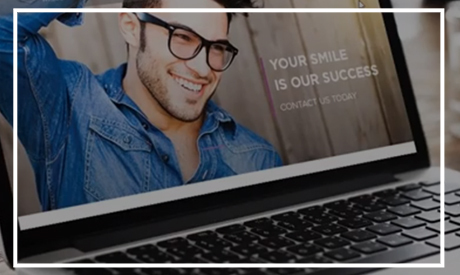 While many dental practices have websites, few maximize their online presence by incorporating their websites into comprehensive marketing programs, thereby missing key opportunities to attract new patients and build loyalty among current ones. 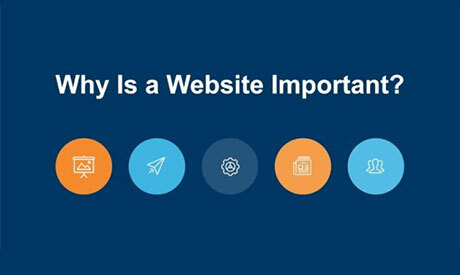 In other words, simply having a website isn't enough to create an effective and well-rounded marketing strategy. 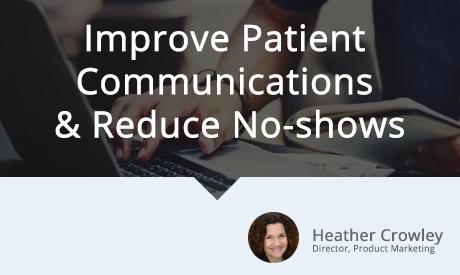 Are you looking for a cost-effective and simple way to reduce no-shows and improve patient communications? 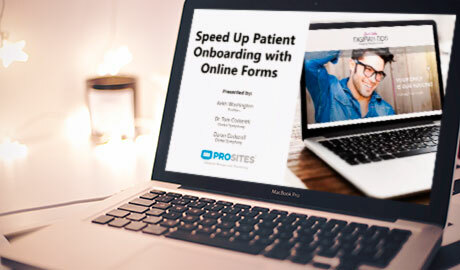 ProSites acquired PracticeMojo to handle the time-consuming tasks required to call, reactivate and remind your patients about future appointments. This solution helps you improve productivity and increase patient loyalty with timely emails, text messages, phone reminders and post cards. Watch this product-focused webinar to learn how this comprehensive patient-communications solution can positively impact your practice. Did you know that the estimated cost of acquiring one new patient is five times the amount of retaining a current patient? Luckily, there are things you can do to build patient loyalty, reduce no shows and encourage new patients to stay with you. 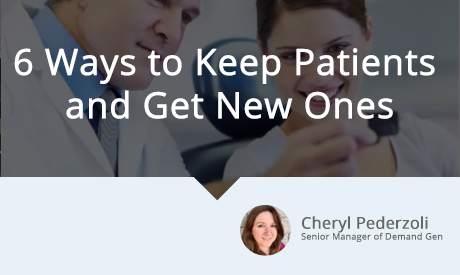 During this 30-minute webinar, you will learn six ways to increase your practice's profits by increasing patient retention. A 5% increase in retention can result in more than 25% increase in your profits. Whether your practice began long ago with ink on paper or recently with electronic documentation, you have likely experienced major shifts in the way you do business. The one thing you can count on though, is things change. 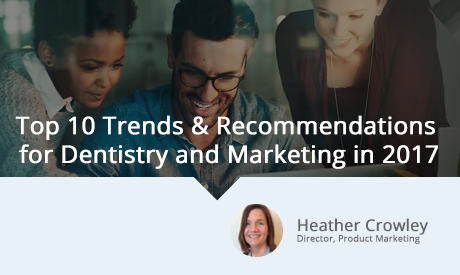 We explored the major shifts that have occurred in dentistry and marketing, to develop a list of the top trends continuing into 2017, as well as recommendations to keep your practice prepared for them. You know that your website needs to rank well on search engines to acquire more patients, but do you know how to get your listing towards the top? Less than half of dental practices optimize their website for search and even less advertise on search engines. By focusing on search engine optimization and Google AdWords advertising, you have the opportunity to dominate the search engine results when patients look for a dentist in your area. 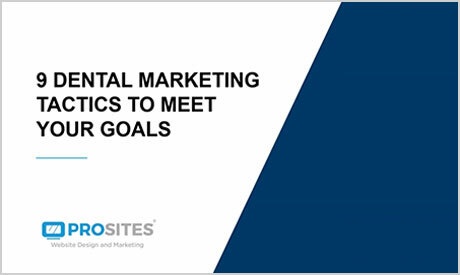 This year ProSites conducted two surveys to understand the challenges that dentists face in their practice, specifically in regards to their marketing. Find out the surprising things that we learned and see how your experiences compare with those of your peers. Have you considered switching website providers but aren't sure it's worth the extra time and effort? Nowadays, websites and their performance are very complex and hard to understand. We often hear dentists say: Can I afford to switch? I don't have the time for this. And will a switch influence my search rankings? 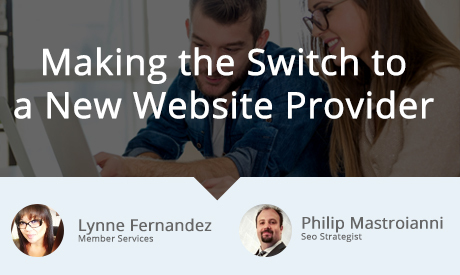 Watch this webinar to learn how much work is really involved when making the big switch. Find out the answers to today's most common dental marketing questions. From why your practice isn't appearing on Google, how to get more followers on social media, how to create a marketing plan, gain more reviews, and more. Learn how to build a marketing plan for your dental practice that works. 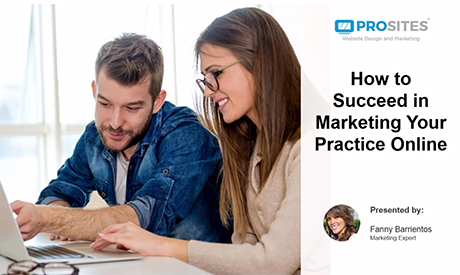 Watch this 30 minute webinar where we will walk through 8 steps you can use to build an effective marketing plan for your practice. Plus, we will show examples of how these strategies can be used successfully. 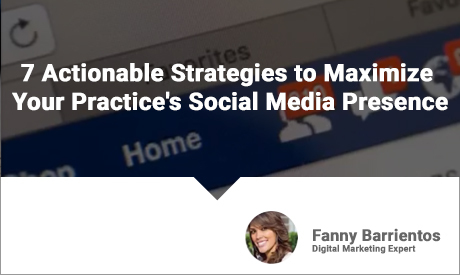 Check out this webinar to understand the best practices and pitfalls to avoid in the most common online marketing strategies for dental practices including: search engine optimization (SEO), pay-per-click (PPC) advertising and social media. 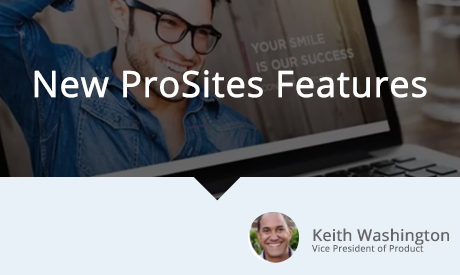 ProSites launched a brand new website feature, Reputation Marketing, which is designed to help you leverage patient feedback and remain in control of which reviews appear on your website. Watch this product-focused webinar to get a deeper look into our new Reputation Marketing feature. We live in a world where the vast majority of your future new patients depends on how easily they can find your practice online and whether your website makes them want to contact your practice – or click the "back" button. 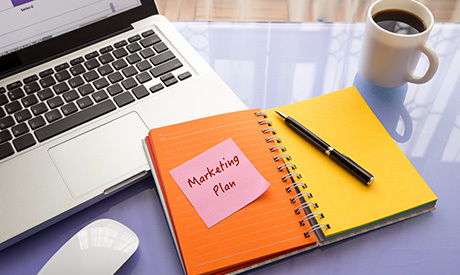 Whether your goals are acquiring new patients, getting more revenue from your existing patients or optimizing your existing marketing efforts, developing a solid marketing plan requires understanding all the available marketing tactics. Watch this fast paced 25 minute session where you will learn the best dental marketing ideas to meet the most common practice goals of dentists. Chances are you're doing various efforts to market your practice, but how do you know which strategies are helping you bring in the most business to your practice? Get the most out of your ProSites website. 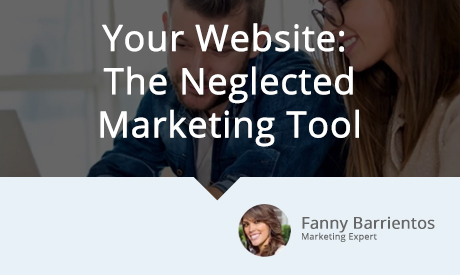 Watch this webinar to understand key elements needed for a successful website that delivers measurable results. Podcast with Dentaltown CEO, Howard Farran, and ProSites CEO, Lance McCollough. Townie Choice Award Winner, ProSites, talks with Dentaltown CEO, Howard Farran, to discuss the latest news in dental practice marketing. From your practice website, best practices for better rankings, social media and pay-per-click, this 60-minute podcast touches on everything you need to know about marketing your practice online. SEO: What is it? What's behind it? Should dentists be on social media? 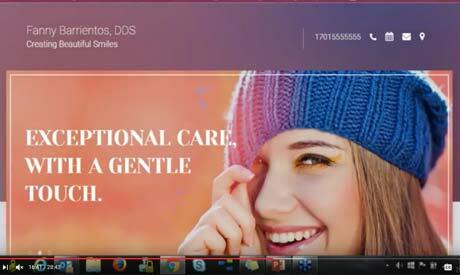 When patients search for a dentist online, Google will come back with a list of results. Search engine optimization (SEO) is what you do to your website to help it rank higher. 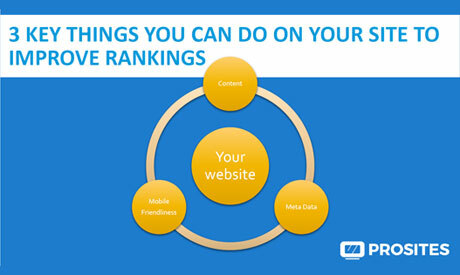 Since SEO can be pretty complex, this webinar covers the basics! Social media is today's word-of-mouth. 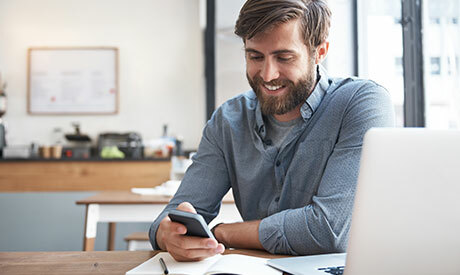 It's a great way to stay connected with current patients and get your practice noticed by others in your area. But, where do you get started? This webinar will show you how. There are 2 components to search engine optimization: on-site and off-site. Both consist of strategies that help you appear higher in search results. This webinar gives you a deeper look into on-site search engine optimization and what you can do to improve your rankings. On August 6th, 2015, Google made an update that affects your rankings in search results. This webinar dives into what it is, how it affects you, and what you can do to improve your visibility on local search. Of online searchers, 85% do not go past the first page of search results. How can you get your practice to appear at the top? The answer is pay-per-click advertising. Not only does pay-per-click give you the ability to better target your audience over traditional advertising, but it gives you better methods to track your return on investment. 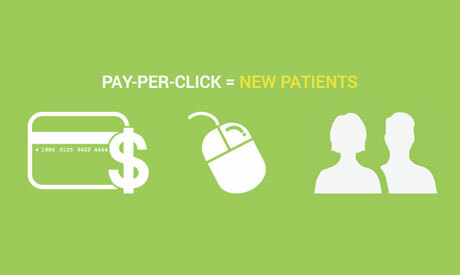 Wondering what it takes to have a website that converts online visitors into your new patients? 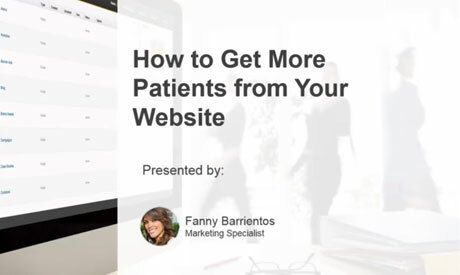 This webinar will help you discover successful website secrets that your prospective patients will love. 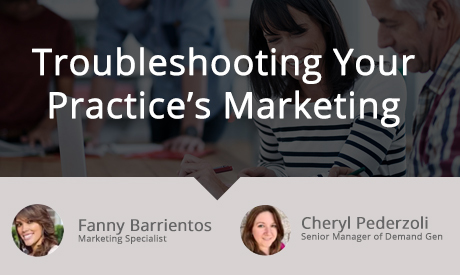 Check out our upcoming webinars and save your spot to learn more about marketing your practice online.